Edwin Arlington Robinson (1869-1935) a three-time winner of the Pulitzer Prize, was the first of the great American modernist poets. "No poet ever understood loneliness and separateness better than Robinson," James Dickey has observed. Robinson's lyric poems illuminate the hearts and minds of the most unlikely subjects--the downtrodden, the bereft, and the misunderstood. Even while writing in meter and rhyme, he used everyday language with unprecedented power, wit, and sensitivity. With his keen understanding of ordinary people and a gift for harnessing the rhythms of conversational speech, Robinson created the vivid character portraits for which he is best known, among them "Aunt Imogen," "Isaac and Archibald," "Miniver Cheevy," and "Richard Cory." Most of his poems are set in the fictive Tilbury Town--based on his boyhood home of Gardiner, Maine--but his work reaches far beyond its particular locality in its focus on struggle and redemption in human experience. 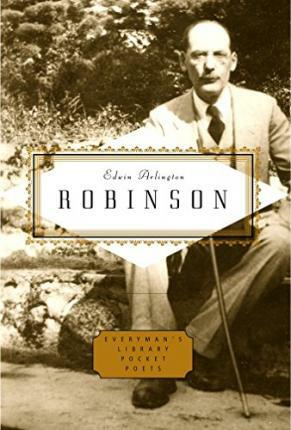 Edward Arlington Robinson (1869-1935), three-time winner of the Pulitzer Prize, was one of the first great American modernist poets.